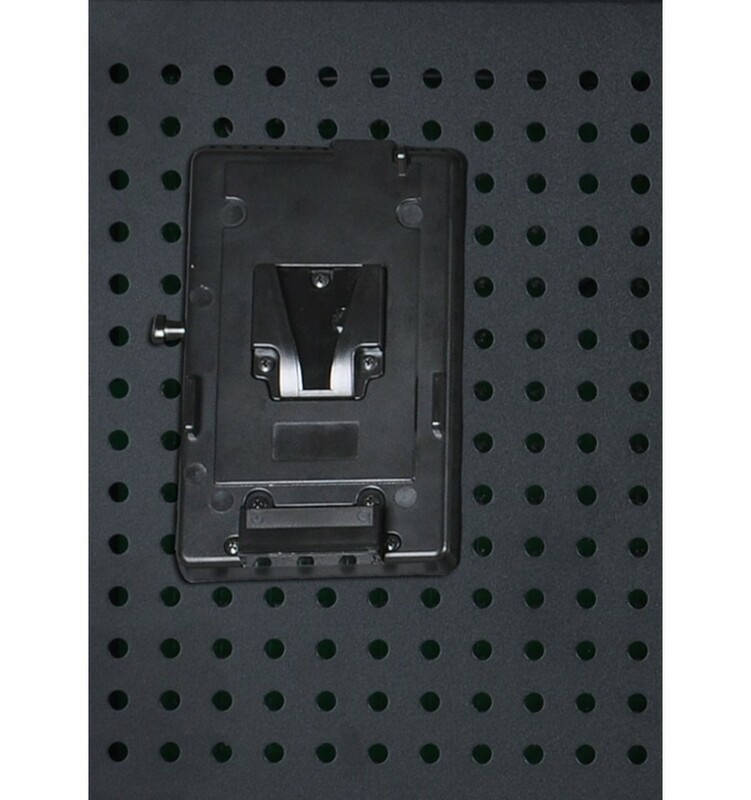 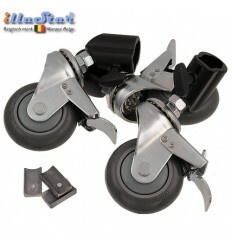 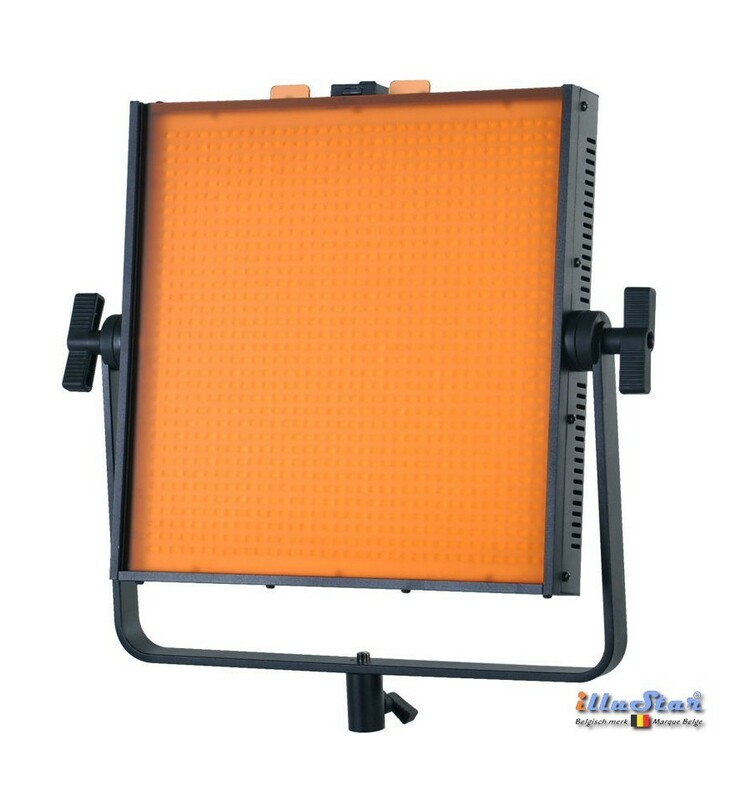 Use of the removable barndoor can be limit light spreading. 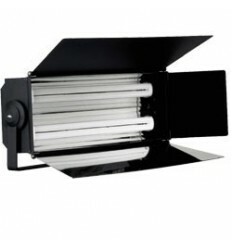 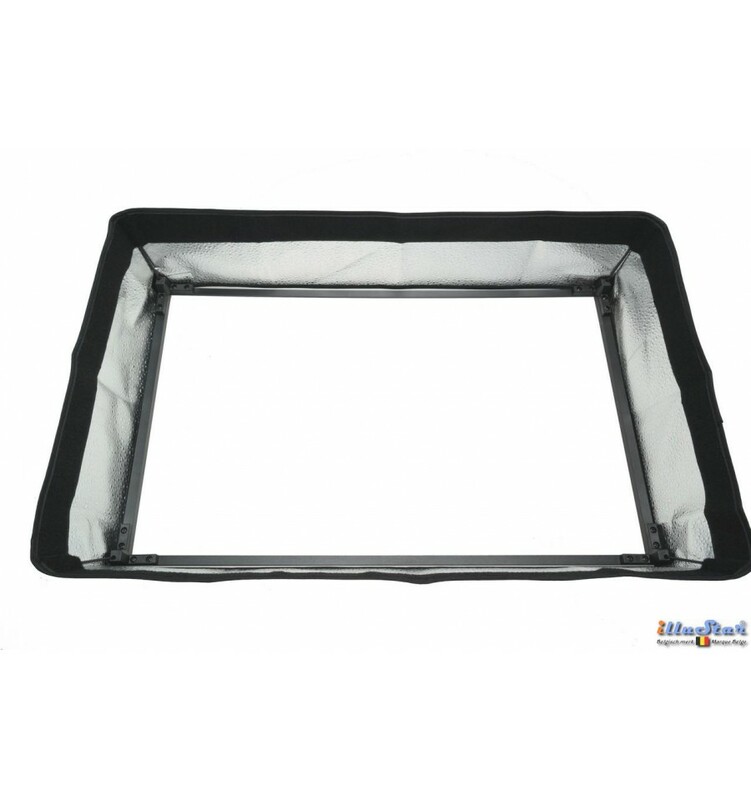 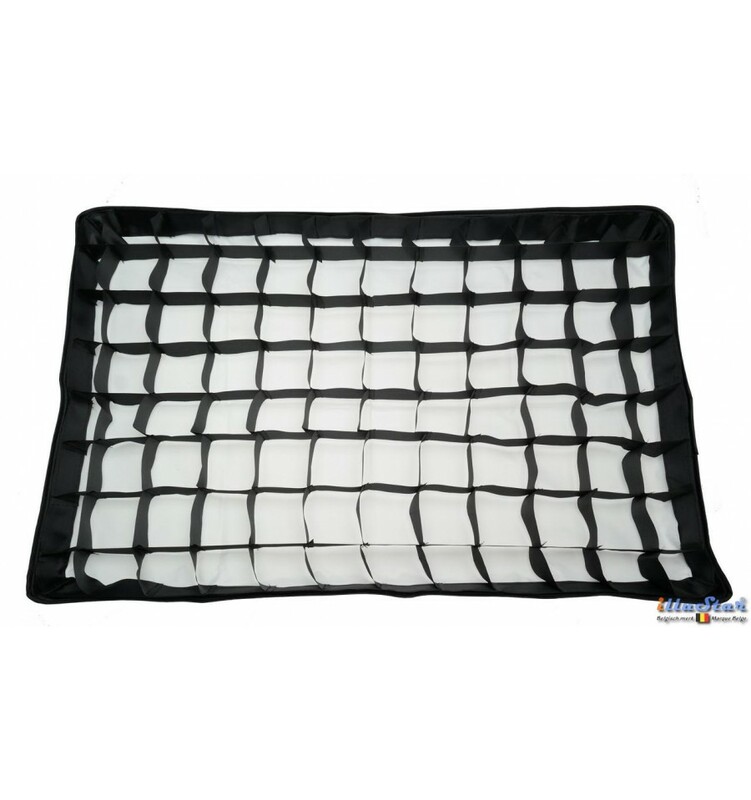 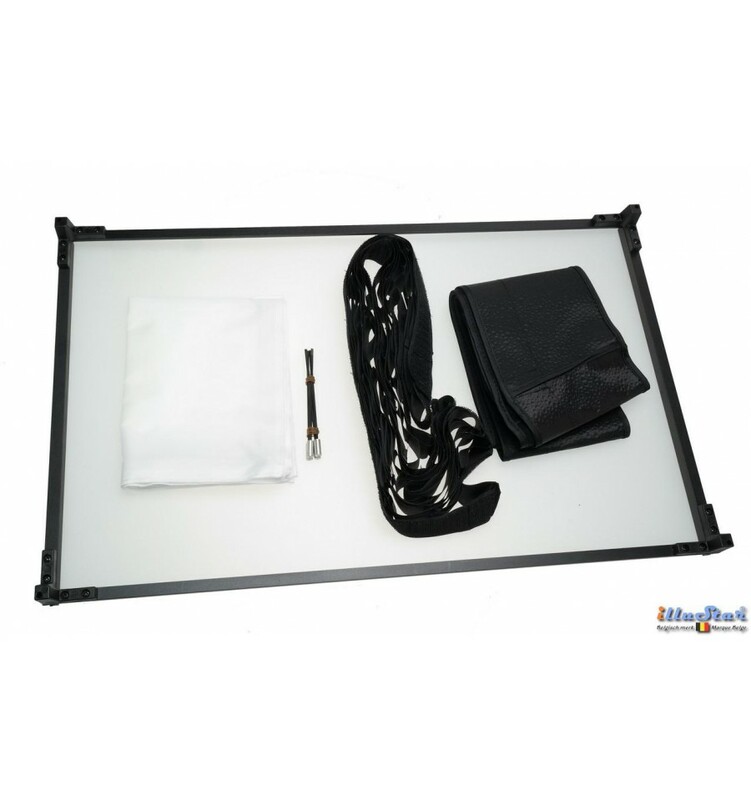 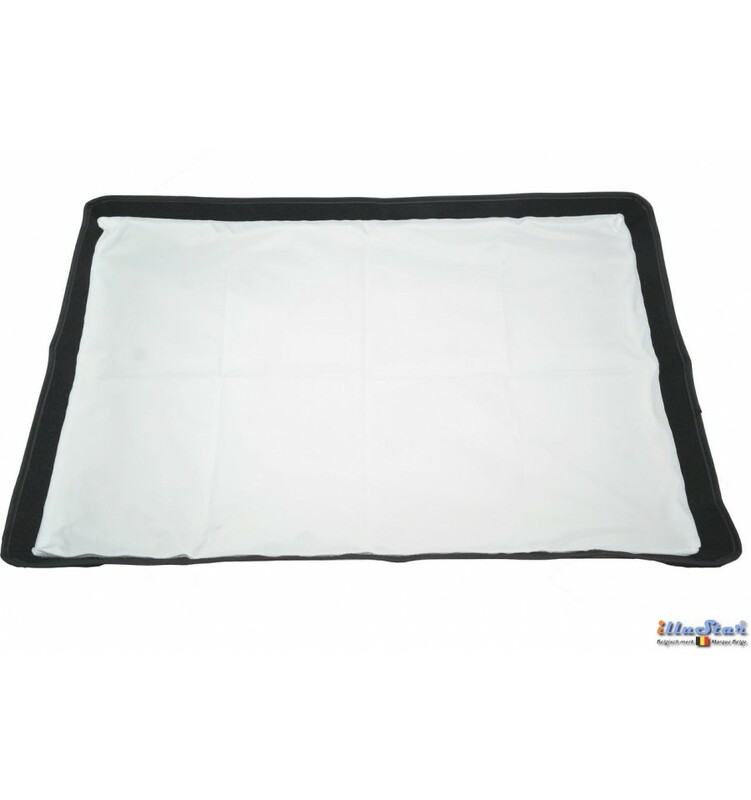 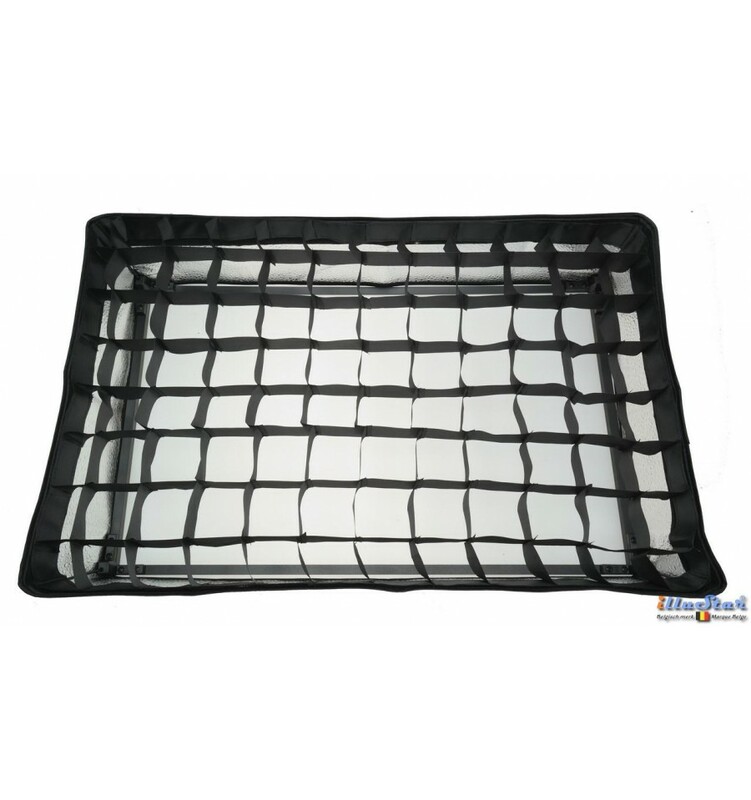 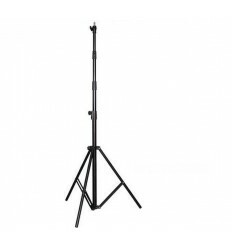 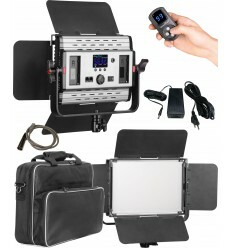 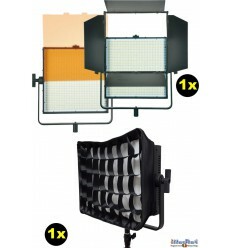 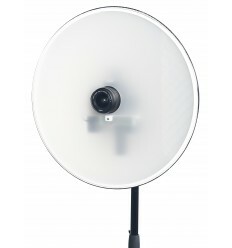 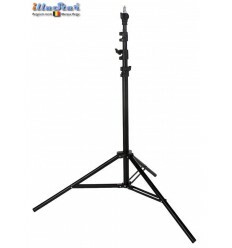 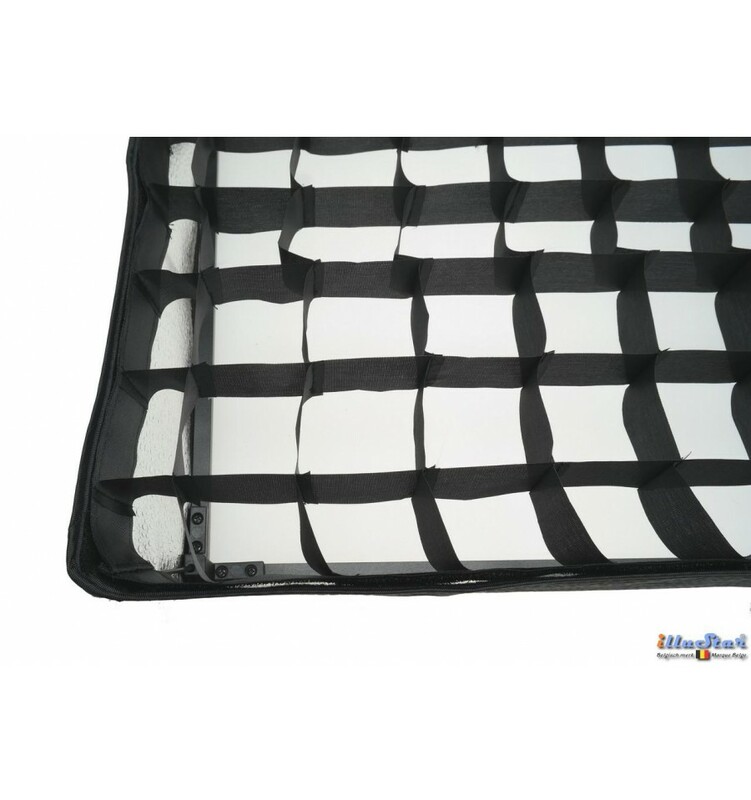 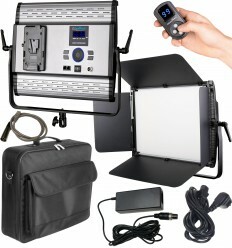 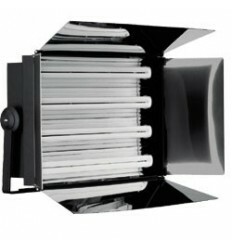 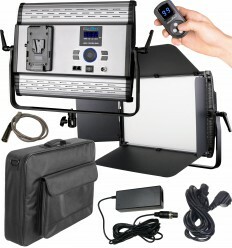 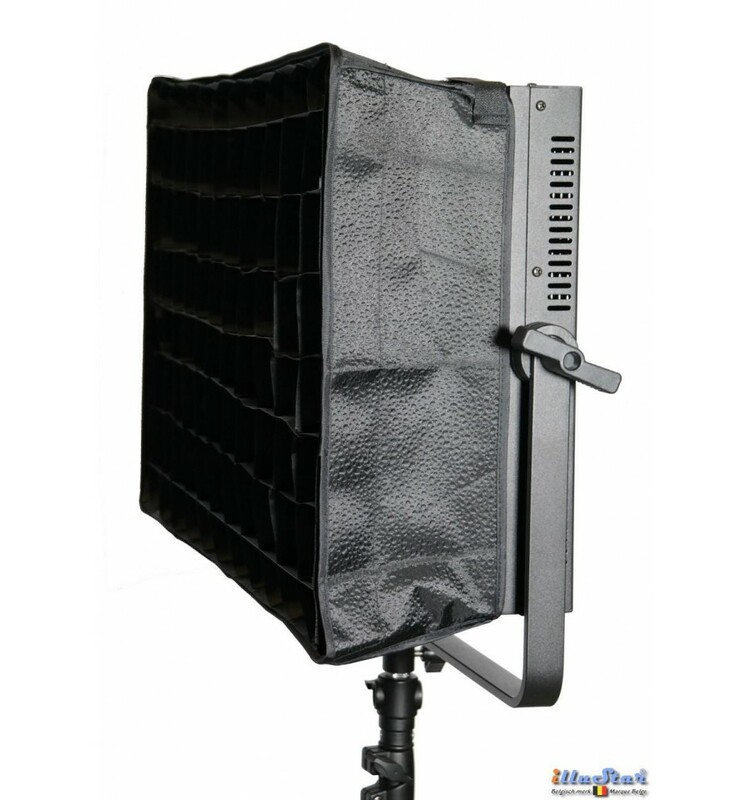 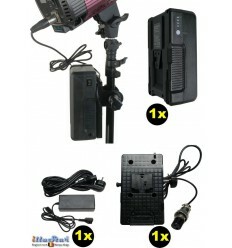 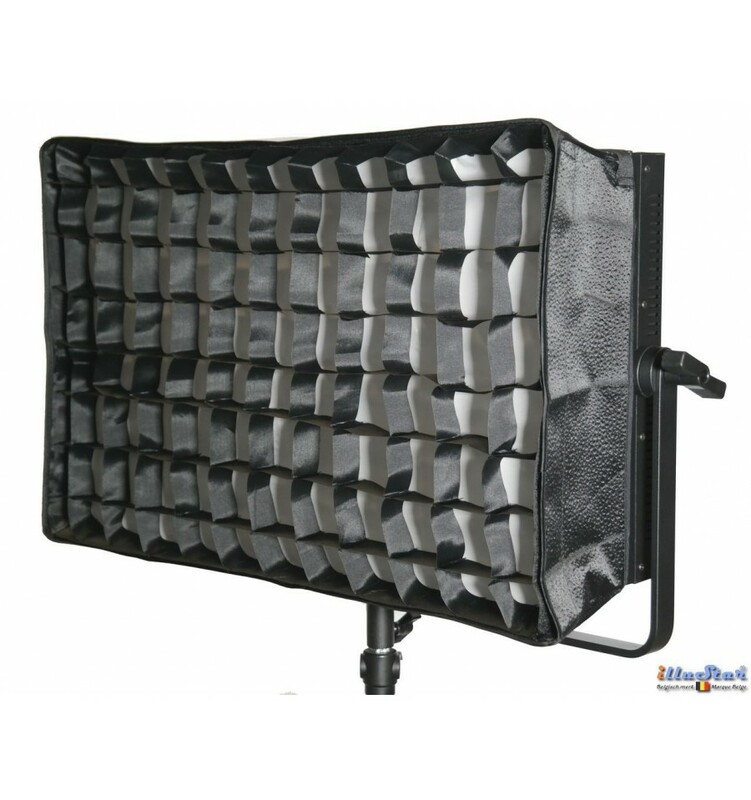 The apparatus can very easily be adapted with an optional softbox with a honeycomb (grid). 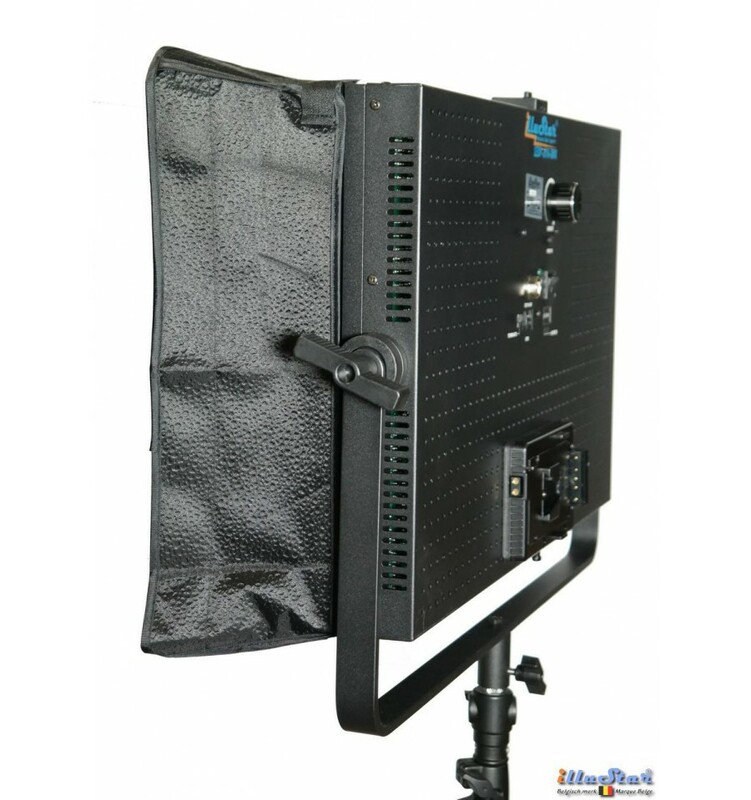 By remote controller through a DMX control panel (optional); the apparatus contains a built-in DMX controller with RJ45 entry and exit. 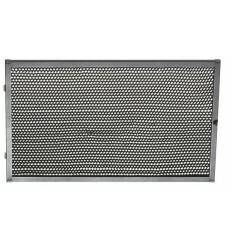 DMX addressing of channels 001 till 512. 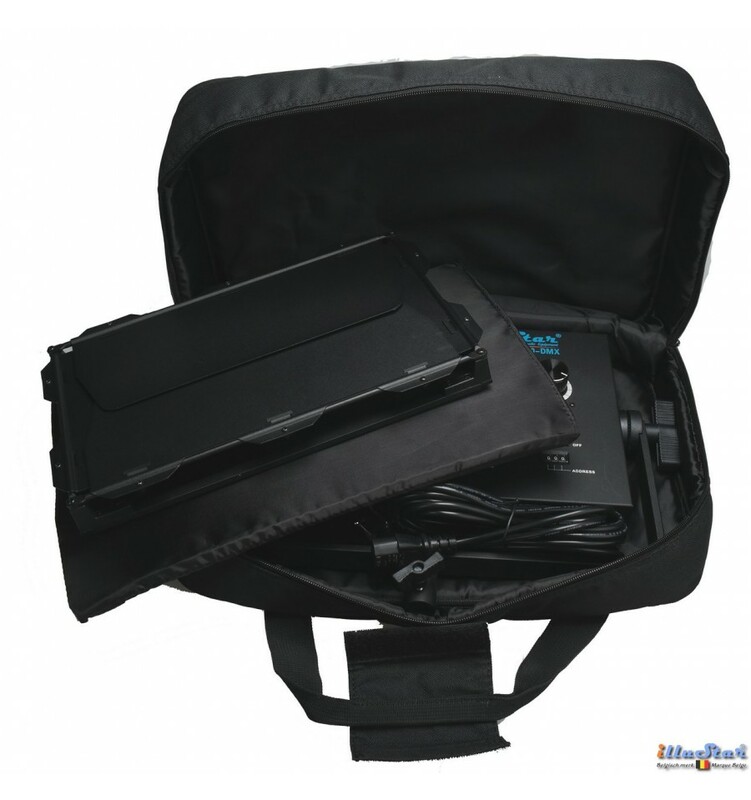 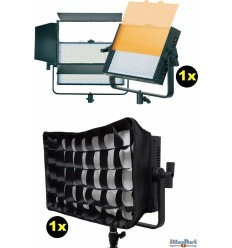 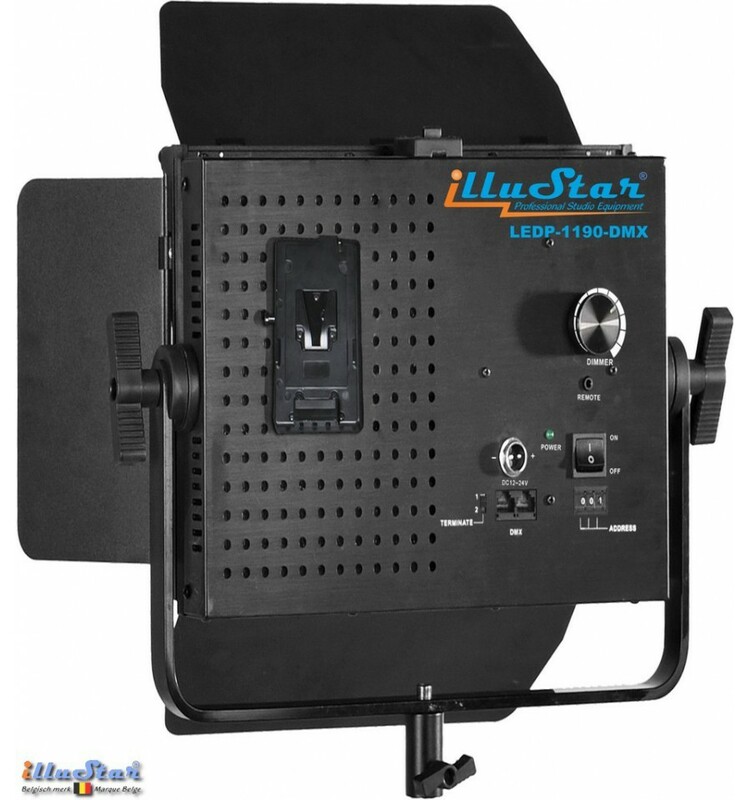 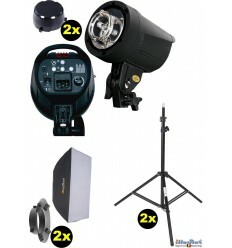 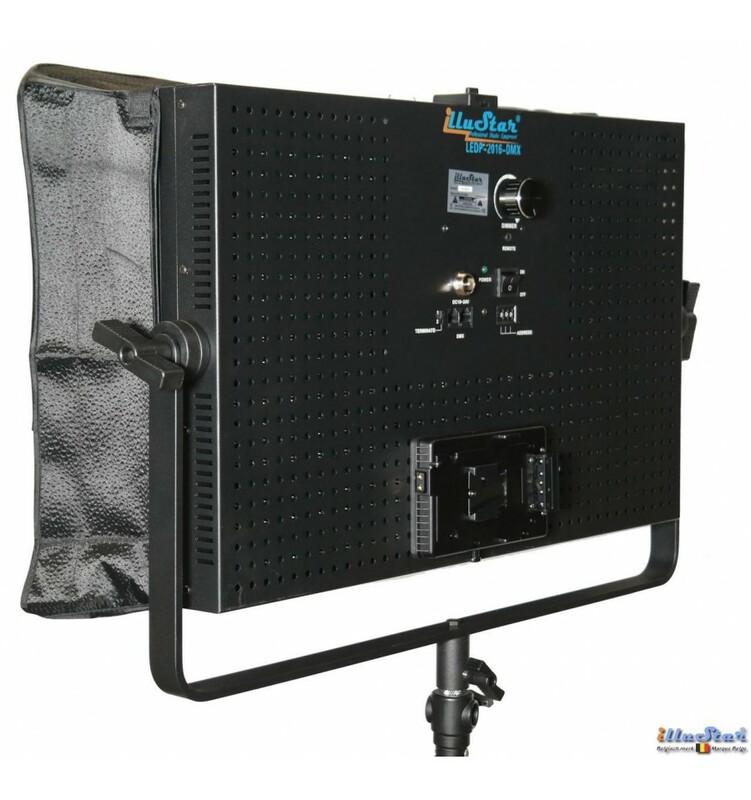 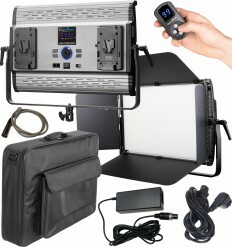 The illuStar® LED-panels function on 12-24 V DC; they can be connected to mains current (with power supply adapter which is provided) or by an external battery (optional) for use on location, The panels are also fitted with a V-Mount battery-slot. 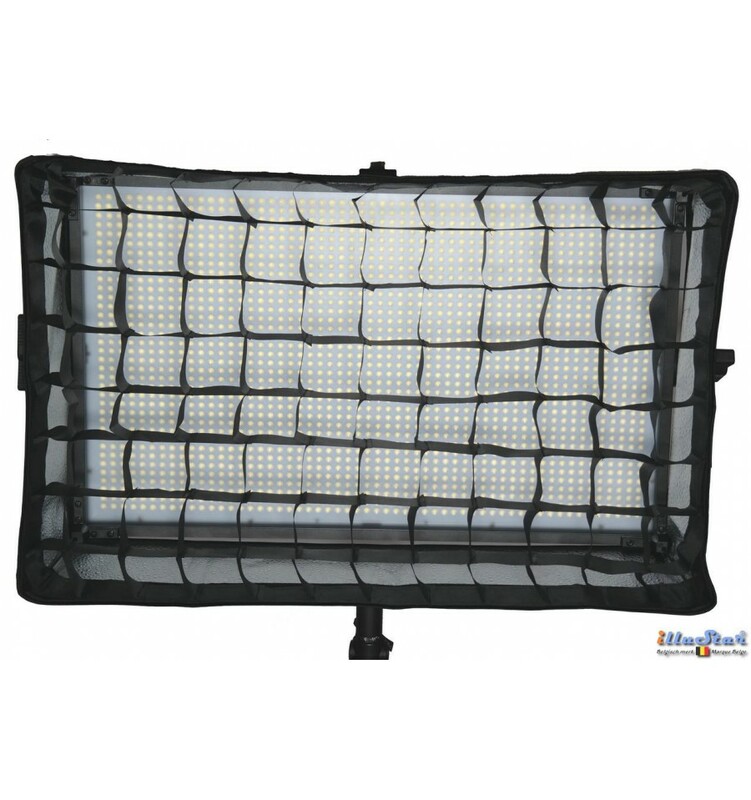 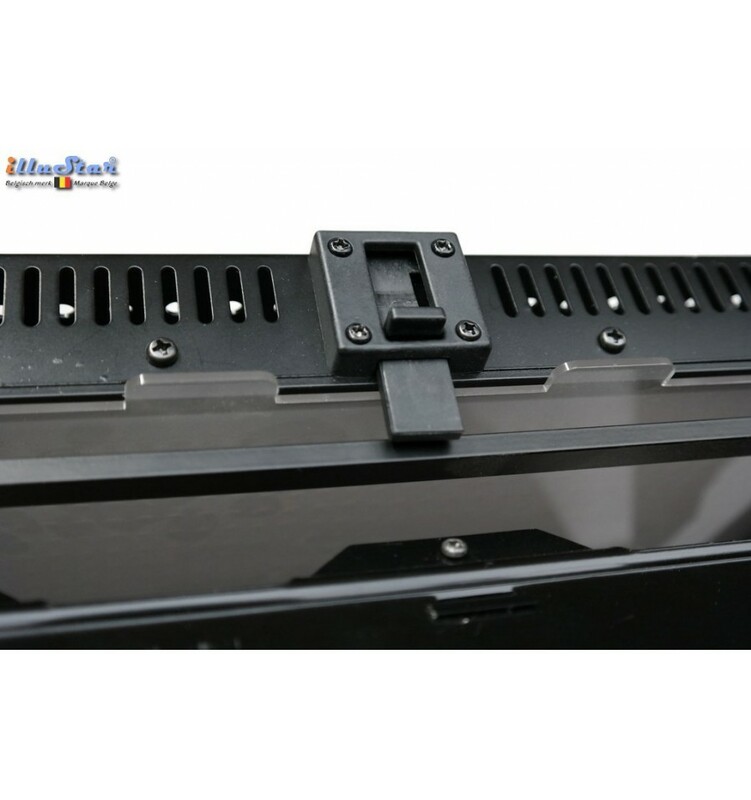 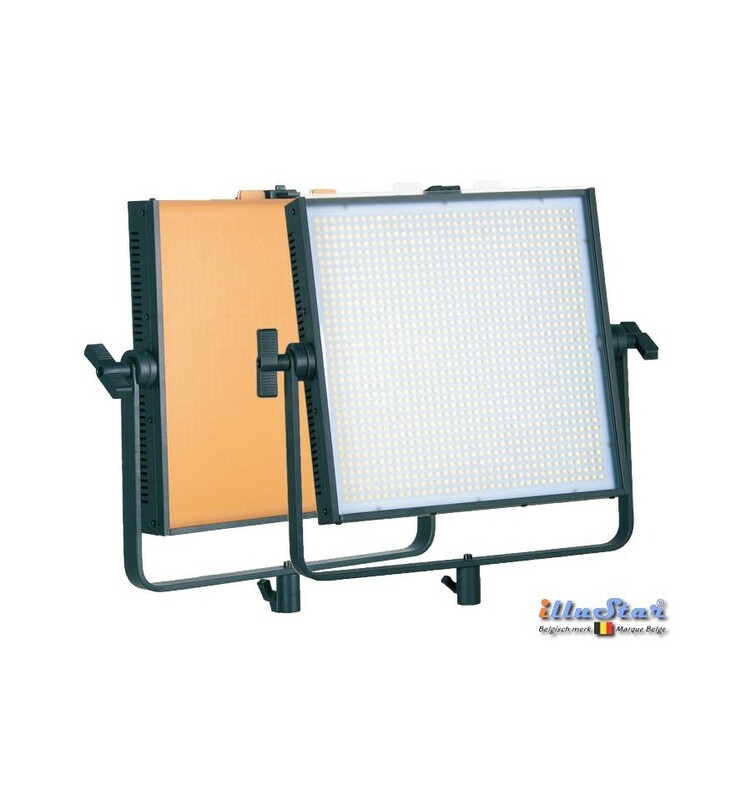 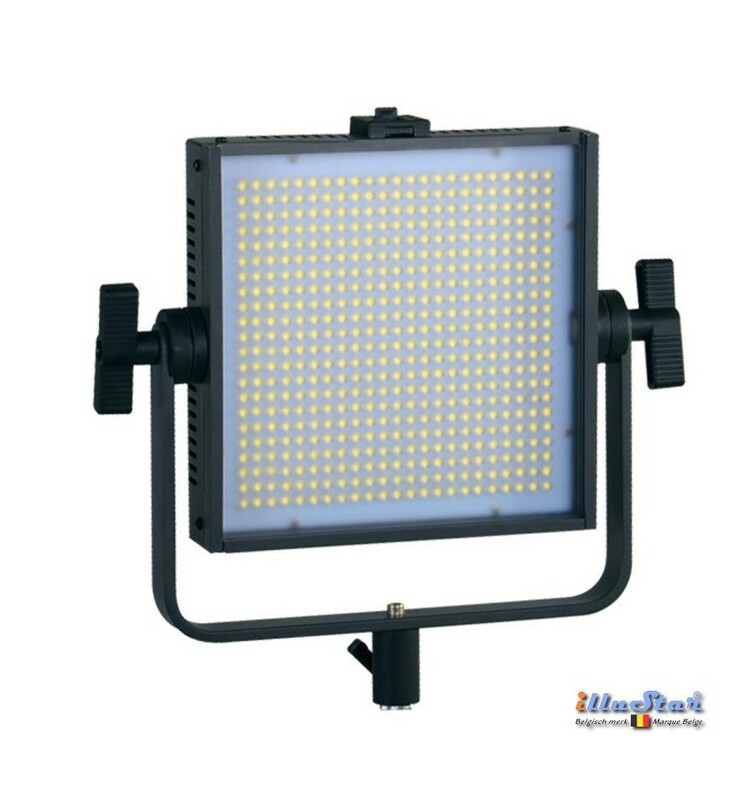 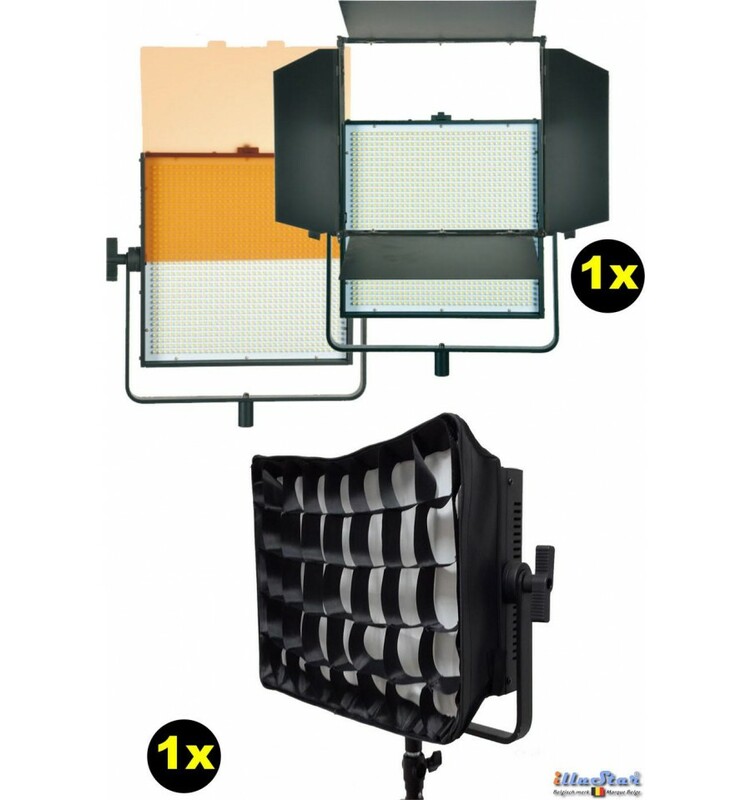 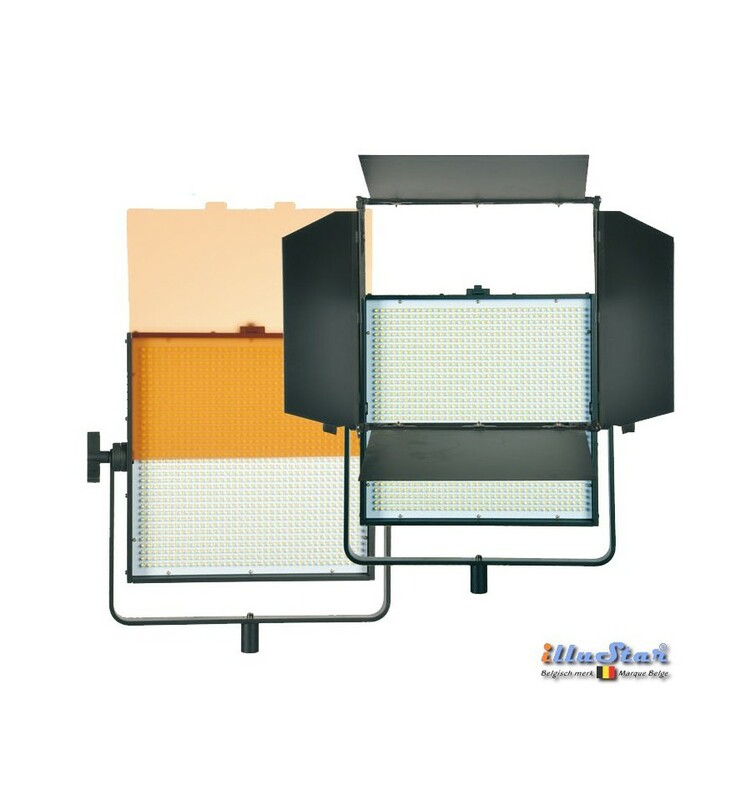 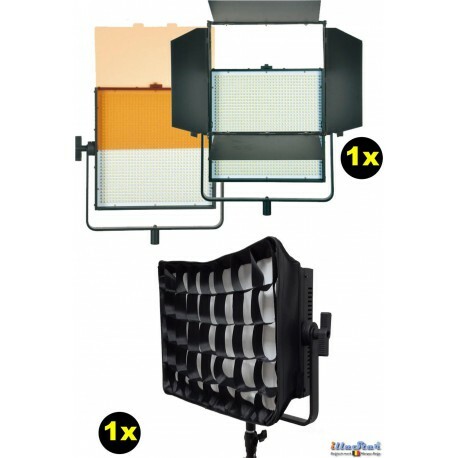 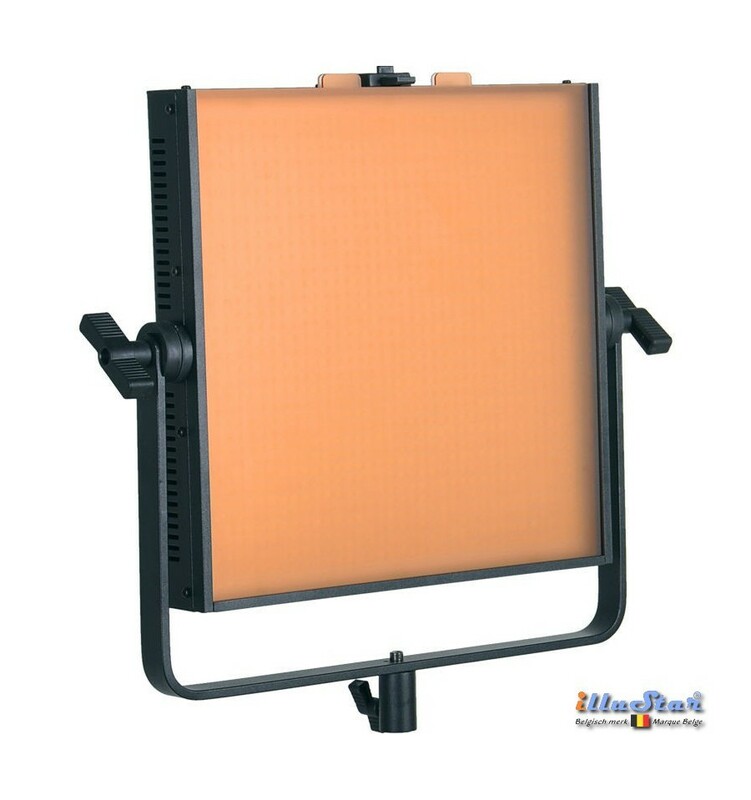 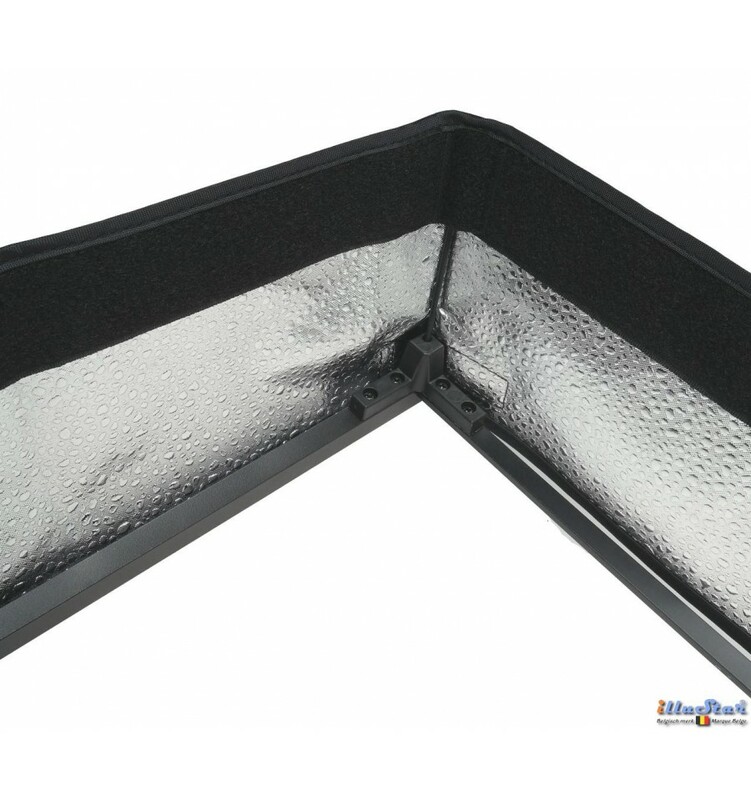 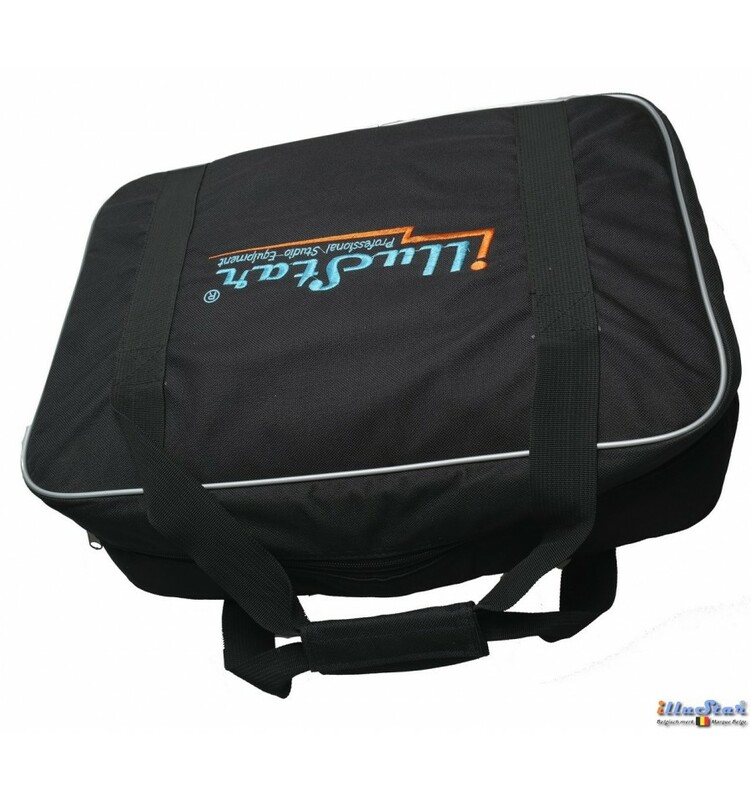 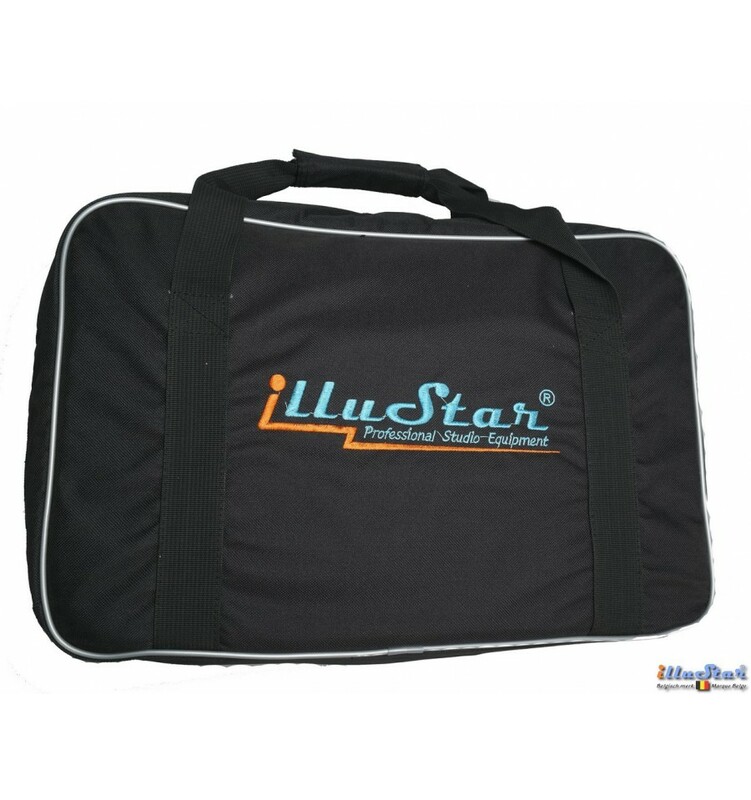 The iilluStar® LED-panels are compact and very lightweight and thus optimally suited for transport; they are supplied with carrier bag. 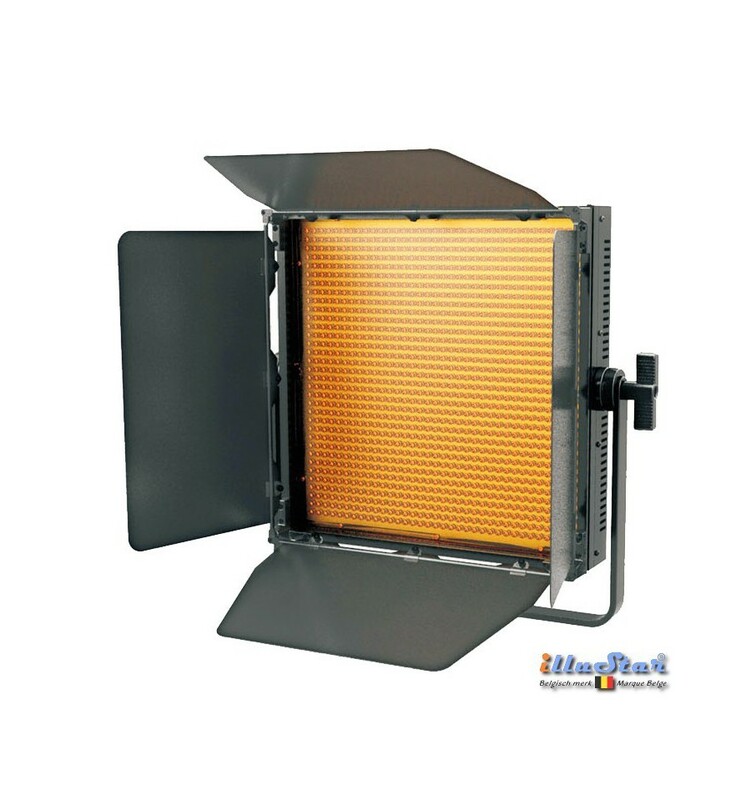 - Conversion filter which converts colour temperature from 5400°K to 3200°K. 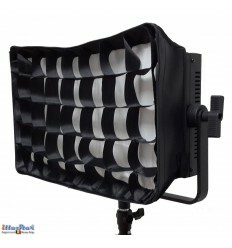 - Diffuse filter which softens shadows. 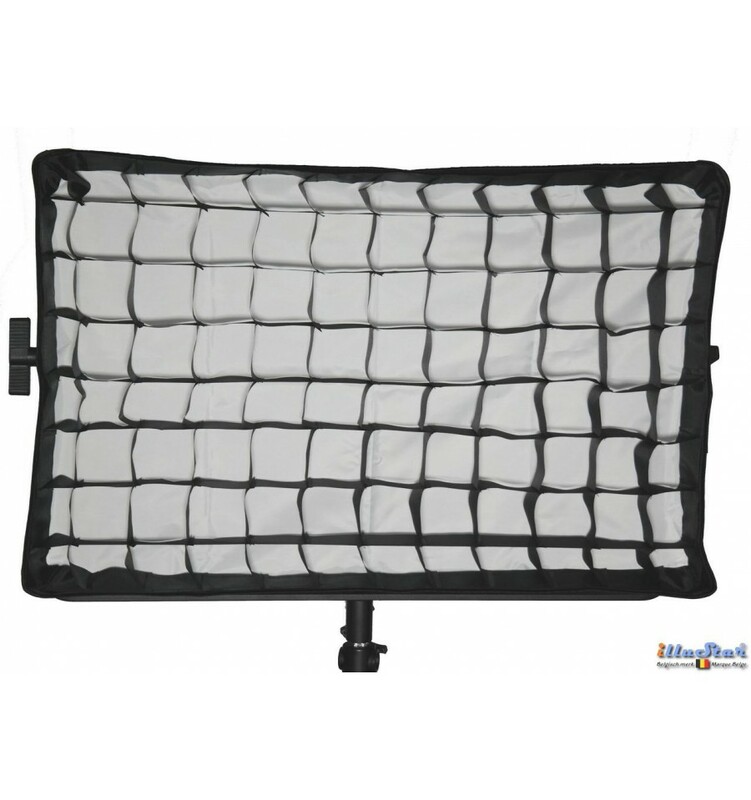 - LEDP-1190-SBHC : Softbox 39x39cm with diffusor & honey comb grid. 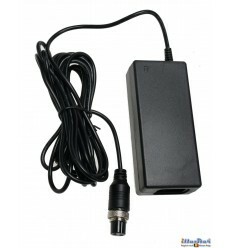 - Power supply adapter AC 220V – DC 19V 4,74A. 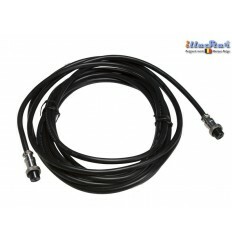 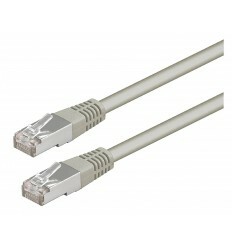 - Flexible power cable (5 metre). 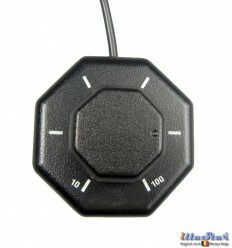 - LEDM-REM : remote controller to adjust the light stream from 0 till 100%. 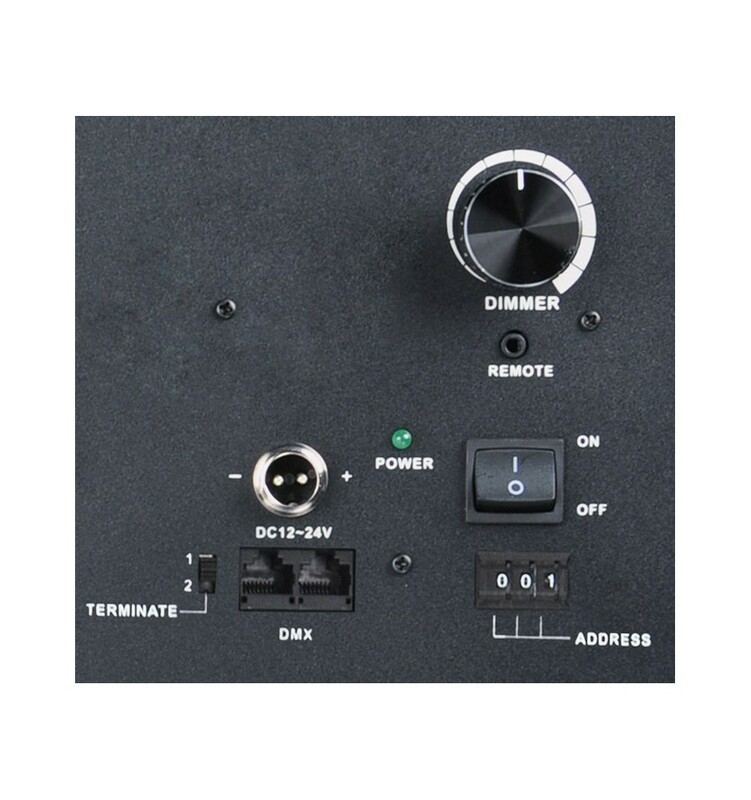 - DMX operator control panel. 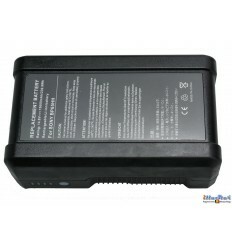 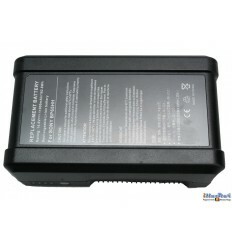 - V-mount / V-lock battery. 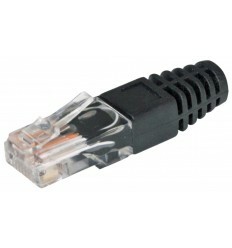 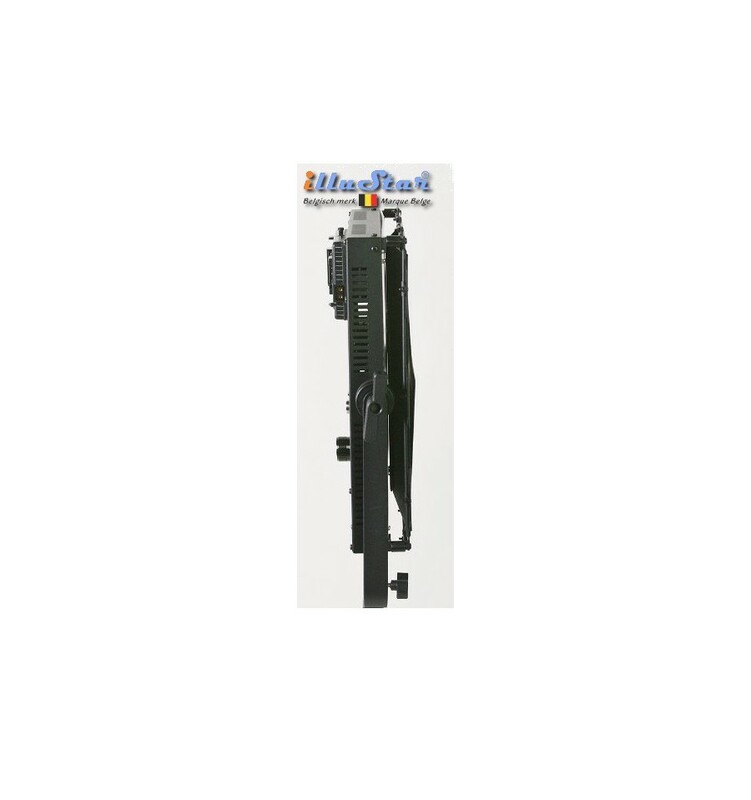 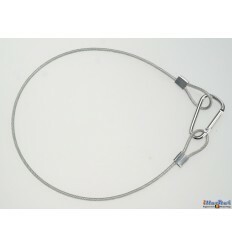 - LEDM-BC5 – Stub cable12V (5 metres) to connect a second lighting device with LEDM-B17AH battery.